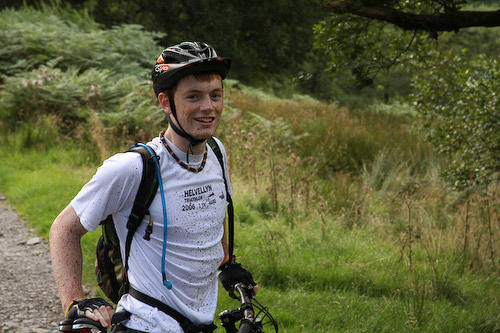 Otter Bank to the top of Whinfell Common, up the Borrowdale valley to the Shap road, down to Garnett Bridge and back, Otter Bank, Kendal - Cumbrian Trail Guides - Mountain Bike Cumbria - beautiful trails and information from throughout the Lake District and beyond! 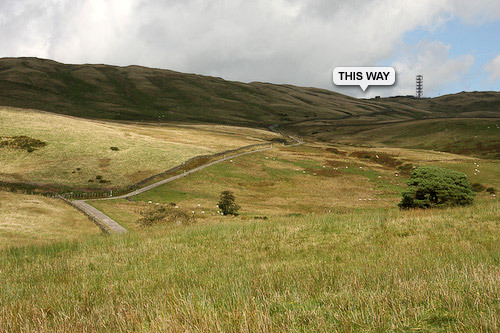 The start/end of this route is at Otter Bank, Kendal. There is parking available here. 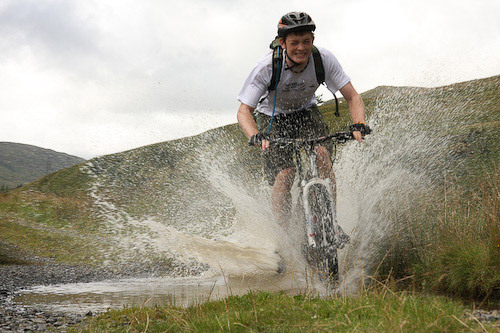 You will get your feet wet on this ride, especially if you like puddles! 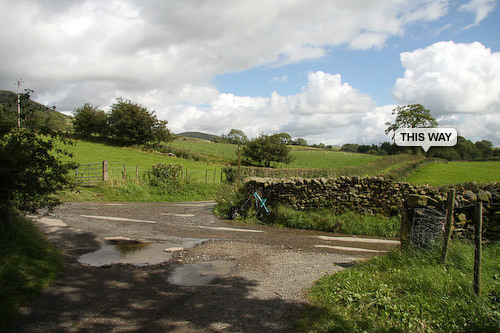 From the car park at Otter Bank turn left up the thin road (don't go back onto the main road), just up the road is a junction, take the left (it did have a bridleway sign, but it looks chewed) up Dry Lane. Follow this along through a few puddles until you reach the road again. 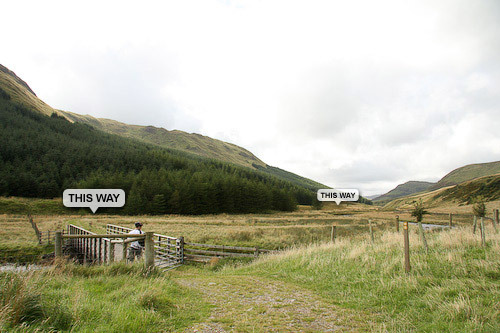 Once at the road, turn left and then immediately right, you should see a bridleway sign pointing you in the correct direction. 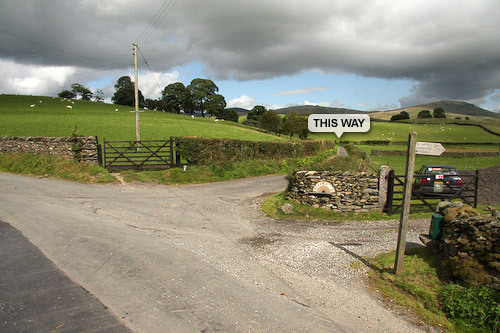 Three gates later and you will reach a small school, just past which there is a right turn on the road. Follow along this road until you see a track heading to the right, follow this until you reach another road. 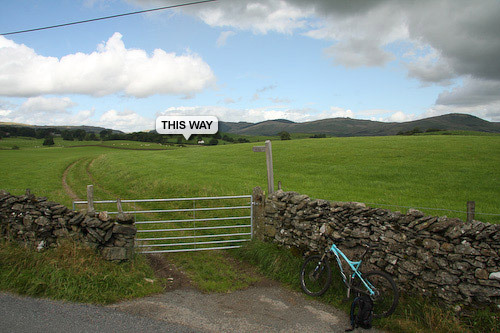 Turn left down the road, go underneath the electricity cables and then turn right though the gate onto another bridleway. Follow the track though the field, until you reach the second gate where there is a stream. 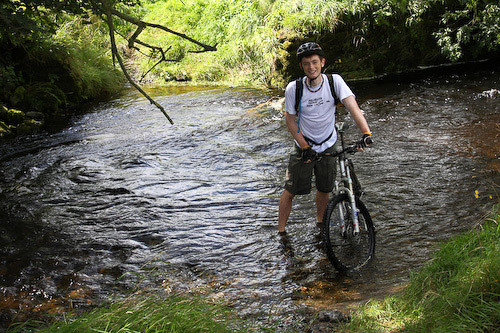 Now you are going to get your feet wet (there is no other option), don't ride into the stream as there are large rocks and the force of the water against your bike will be strong. 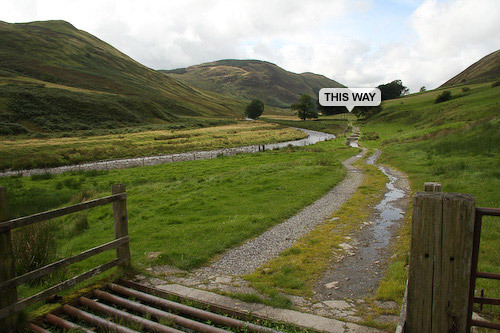 Once though the ford carry on straight though two more gates, then watch the nettles, mud, sheep and farm. 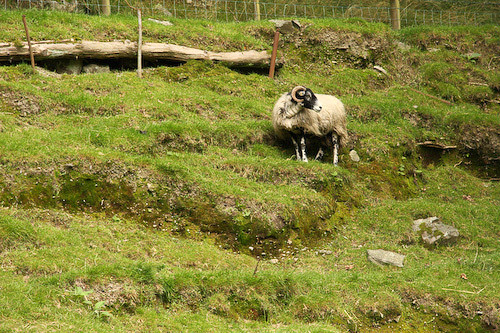 Though the farm (watch out for the dogs), keep going up the hill to the road. 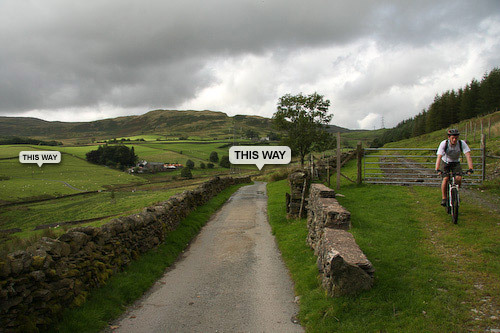 Once on the cross roads, go straight over and follow the road for a while, there is a sharp right along here, make sure you take it or you will head into a farm. 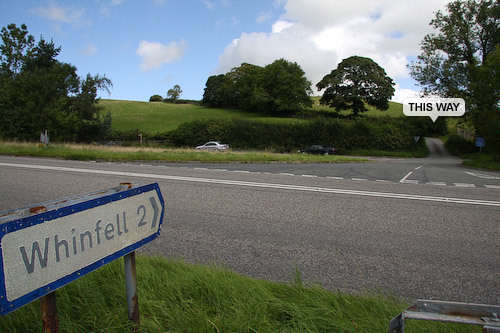 After this there is a crossroads, go straight over and continue on until the next left turn up to the top of Whinfell Common! 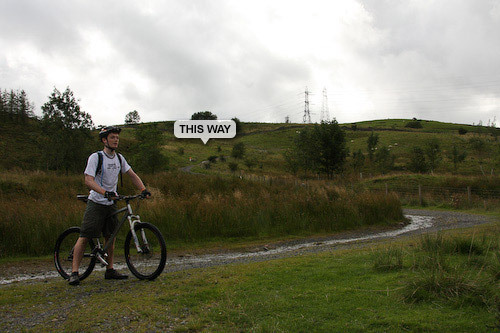 Once you are on the road/bridleway to the top of Whinfell Common, just keep on going until you get to the first mast. 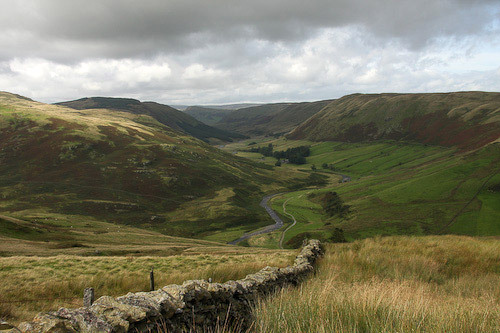 Once there, carry on around it and just on the left you will see a bridleway going down into the valley below. Watch out it's very boggy for a while. 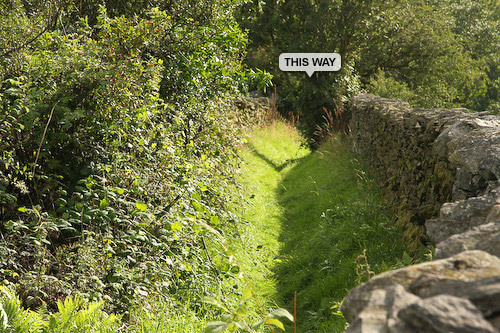 Follow this down, after the first gate it gets a be tricky just stick to the path and you will be OK, if in doubt, follow the wall down on the right until you see an obvious path. If you go underneath a fallen tree, cross over the little river and either head down, or head slightly right and up until you reach a sunken path, then follow this all the way down to the junction. 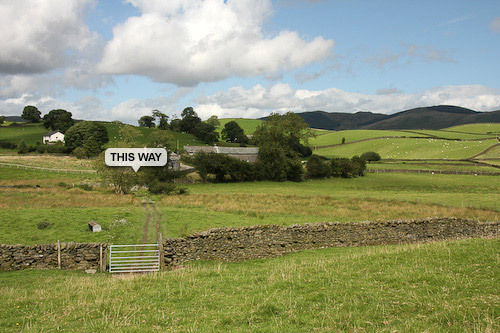 Turn left at the junction, follow the track over a bridge and into a farm. 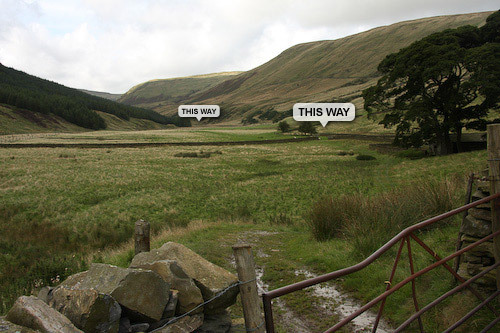 Once through the farm keep to the valley floor and head left. Follow this along until you get to a major bridge/river crossing. Go over the river and on this part of the trail there are plenty of puddles, have fun! 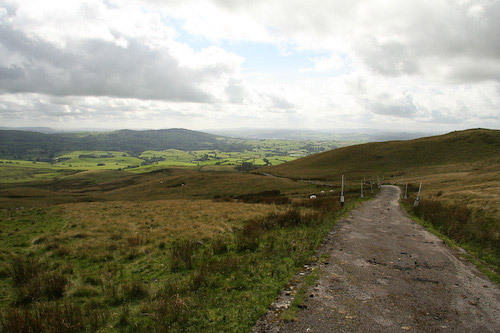 Once you get to the end the track will turn left up a steep hill towards the Shap road. 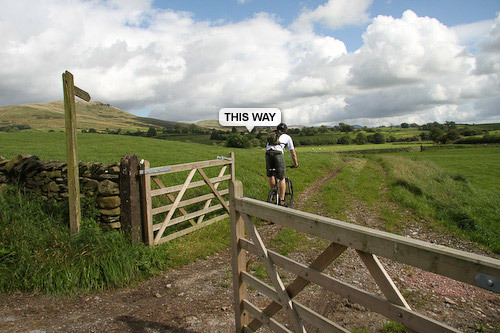 Once on the Shap road, turn left and follow it along, you shouldn't descend much until you need to turn left, though a gate onto another bridleway. 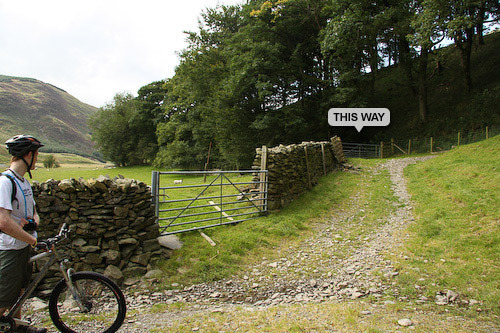 Follow this bridleway down until you reach another road/gate. 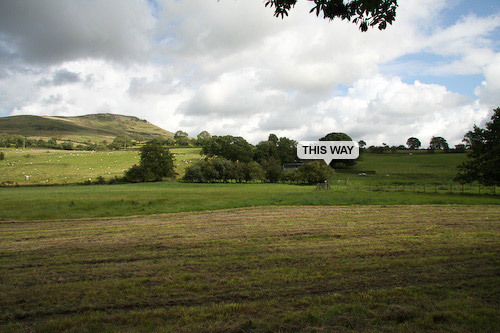 Here turn sharp right and then follow the road down, though a white gate, then up and then right back onto the Shap road, immediately cross over the road and right for a few metres the next bridleway is on your left. Follow this for a while, have some fun, until you get to another road. 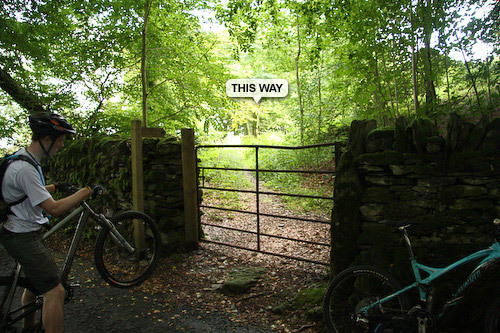 Turn right here and follow it around until it gets dark (because of the trees) there is a gated bridleway entrance here, before the main road. On this grassy track go up to the road, over the road and then right of the walled wood. Keep going on this track past another walled wood on the right and then it's straight on for a while over a lot of grass until the next road. On this road, turn left (keep straight) until the next right turning. 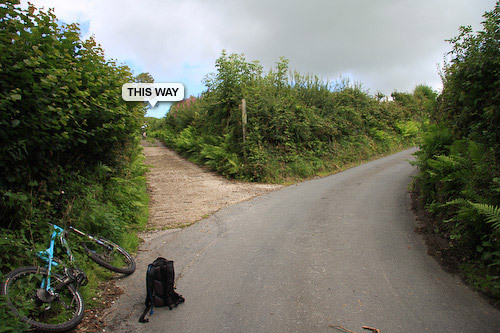 Follow this road up until you see a bridleway on the right. 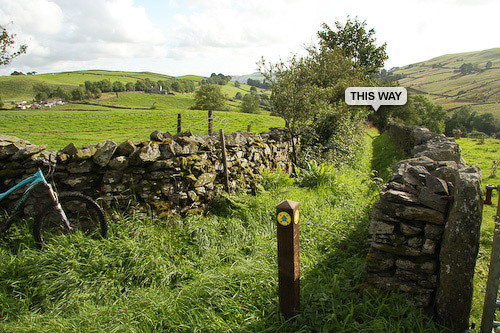 On this bridleway way keep your eyes out for a signposted turning on the left. 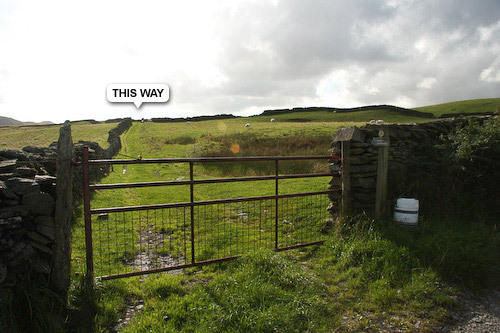 After this turning, go through a few gates and keep your eyes peeled for posts in the ground, they are going in a right direction, keep going in that rightly direction, you should then reach a small gate, go though here. 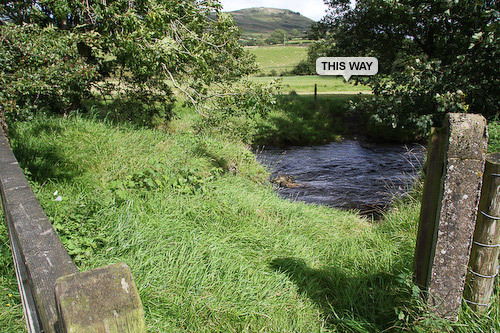 Over the little stream, and go past the wood and very slightly left up until you reach a track. Follow this track down into the valley, there are drainage ditches down here so watch out. 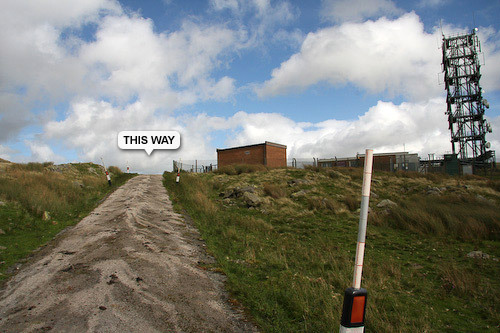 Once you have got to the bottom of this track and though the housed area, you will reach a road, turn left here and follow it for less than 1k, you will see a track on the left going up - follow it. This track wines around a bit until it reaches a gate leading onto a thin track. Follow this track up until you get to a T junction, now for a bit of technical fun, turn right and follow the track down to the road. 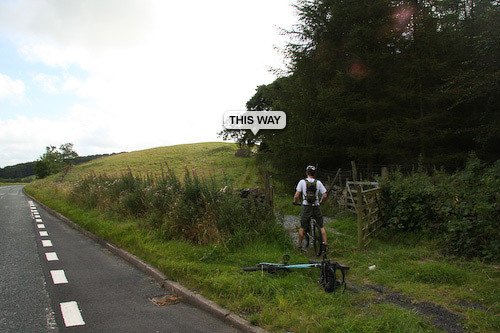 At the road, it's the end of the bridleways :-( turn left and follow it up to the main road. Then sharp left follow the road up to Watchgate, it not far until you reach the first right turn, just watch out when you go over the road. Follow this road up, until the next right, here there are just a few more hills then you can descend past the treatment plant to the main road. Here turn left down the road, you will see the car park on the left. Have a safe journey home. Thank you so much for your very detailed website! Great job! 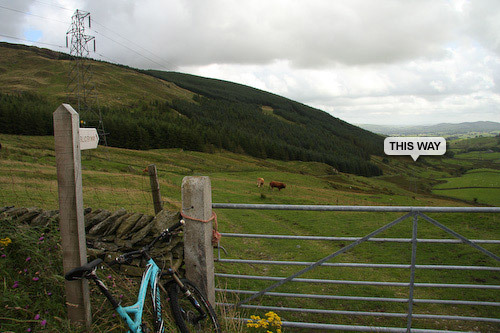 This is by far the best site for mountain biking trails I have ever seen. Love the pictures!Merci! 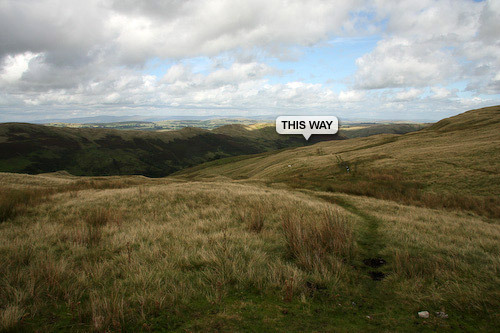 This trail has been viewed 50700 times!